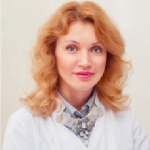 Vladlena Averina discusses a series of holistic approaches to treating the signs of aging based on a new form of aging classification. 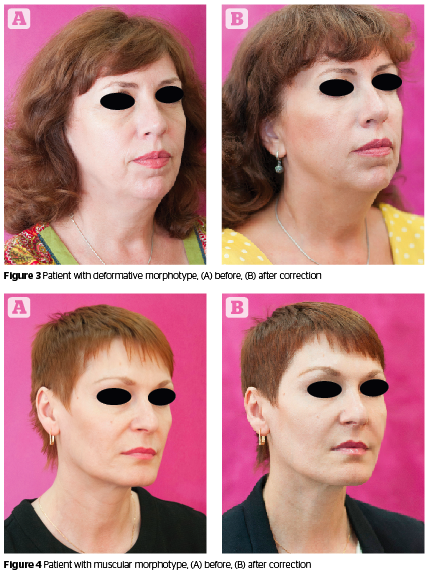 The classification of aging morphotypes was taken as the basis for aesthetic correction. What makes this classification extremely attractive is the possibility to make corrections using the pathogenetically substantiated principles and preventively reduce the number of potential side-effects. The corrective treatments based on aging morphotypes helps the practitioner choose a comprehensive protocol that will produce both short- and long-term results and allow for the forecasting of further age-related changes. In order to identify the aging morphotypes correctly, practitioners have to understand the aging processes at both macro and micro-levels. On a micro-level, as a person gets older the skin receives less blood supply, derma-epidermal interaction becomes weaker, the basal membrane loses its waves, the intensity of free-radical reactions increases, the number of melanocytes decreases, skin dryness occurs, and epidermal barriers begin to break down. The position of facial muscles begins to shift lower, and tendons and ligaments are no longer as resistant. Finally, bone structures undergo resorption. At a macro-level, ptosis with hypertrophy or atrophy of fat pads, wrinkles, hyperpigmentation, and telangiectasia become more visible1. The new aging morphotypes take into account all changes at a macro and micro level. The aging morphotypes are classified (according to I.Kolgunenko) as tired, wrinkling, deformative, and muscular2. Women over 55 years have mixed morphotypes but, in these cases, it is still possible to speak of a combined and late type of aging with a predominance of one particular type of aging morphotype3. Strain changes are expressed in the ogee line, which loses its curves and causes the profile to appear flattened. There is a particular hypotrophy and slight ptosis of fat compartments of the face — reduction of temporal fat and deep medial fat cheek compartments, ptosis of infraorbital and nasolabial fat compartments, and sometimes moderate hernias. These changes make the face looks tired and it usually becomes more evident in the evening. Obvious difference between skin conditions of the face and neck (in favour of the face). There is a general reduction in fat compartments of the face, especially the midface, and resorption of bony structures. These changes make the face looks skeletonized. Reddening of cheeks (couperosis) and telangiectasis are pronounced. There is general hypertrophy and ptosis of fat compartments of the face, especially nasolabial, mandibular and submental with severe ptosis of the nasolabial fat compartment, from moderate to severe hernias, and a reduction of the deep medial fat cheek compartment. These changes make the face look heavy and sad, making the individual appear older than their biological age. There is a general reduction in facial fat compartments, particularly the temporal and deep medial and middle fat cheek compartments. Strain changes are expressed in the ogee line, which loses its curves. There is a flattening of the face in profile and full face, though the shape of the face remains practically unchanged. For women who are losing weight this type of aging has a negative impact — it makes them look more masculine. It is necessary to take into account not only the static but also the dynamic characteristics and areas. The following treatments will present methods for skin quality improvement, dynamic correction of the most active mobile facial areas, recommendations for further procedures, and the forecasting of further signs of aging according to an individual’s morphotype. During skin quality improvement by biorevitalizing multicomponent products, clinical effect is achieved through pharmacological and puncture effects. Treatments that work towards the reinforcement of the skin have a traumatic impact due to the formation of a wound conglomerate. Wound healing is a complex mechanism, including processes of acute inflammation, migration and proliferation of connective tissue cells, the synthesis of extracellular matrix proteins, restructuring of connective tissue components, neocollagenesis, and tension. These mechanisms form the basis of the puncture effect of skin enhancement, which results in the active contraction of the dermal graft. Implementation of the pharmacological effect for reinforcing the skin is possible through an adequate choice of product. In recent years, solving a wide range of aesthetic problems involves the application of skin boosters. 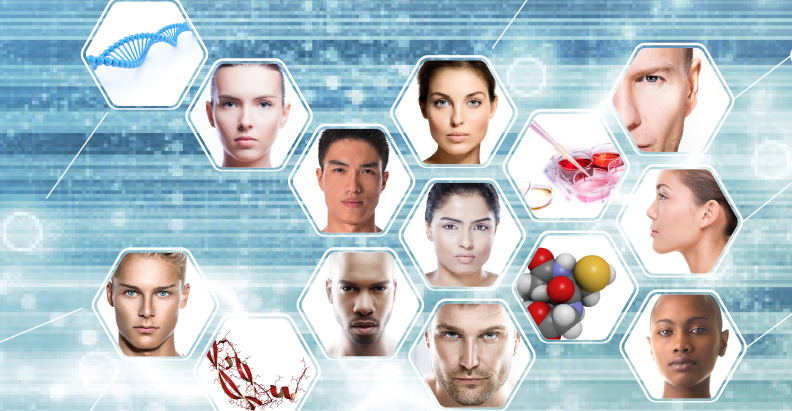 Skin boosters represent a new class of products that combine the advantages of biorevitalizers (high molecular native hyaluronic acid) and mesotherapeutic cocktails (vitamins, amino acids, minerals, antioxidants, co-enzymes) providing a comprehensive restructuring effect. Products with dimethylaminoethanol (DMAE) are specifically designed to improve skin tone as well as the muscular system. They have a quick lifting effect, provide a high level of hydration, and lead to visible skin relief and smoothing. In the lower-third of the face (especially in case of deformative and tired morphotypes) DMAE products are used in cocktails with silicium, caffeine, L-carnitine, phosphatidylcholine, and deoxycholic acid for both their lifting as well as lipolytic effects. Depending on the product there could be 4–8 procedures with intervals of 7–10 days or 3–4 procedures with intervals of 10–14 days. Platelet rich plasma (PRP) therapy as a regenerative method is extremely effective for tired and wrinkling aging types4. 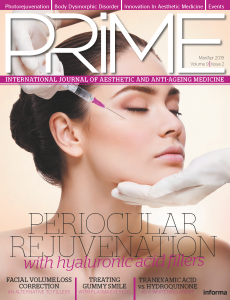 For aesthetic correction, the author recommends using modeling, collagen, and thermo-active masks as well as cryotherapy and vacuum roller massage. This aging type responds well to mechanical stimulation, such as microdermabrasion and microneedling. Mesotherapy is performed with the cocktails made of antioxidants, vitamins, and peptides. Rejuvenation with non-cross linked HA also gives a visible improvement to skin quality characteristics. Peeling glycolic acid up to 70%, TCA 15–20%, and fractional photothermolysis represent an efficient corrective method for this morphotype. Threads are also an effective method of correction for this morphotype. Threads cause the tissues to react to a foreign body and their introduction is accompanied by a massive macrophage infiltration. Fibroblasts start lining on the periphery. Gradually, the thread is replaced by collagen fibers, which are then subjected to full or partial involution. Bio-resorption of PDO thread in the tissue takes place over 90–150 days. Collagen matrix forms around the thread, which explains the duration of observed results. Depending on the age, hormonal status, and metabolism of the individual being treated the amount of collagen produced will differ. Accordingly, the duration of effect will vary from between 1 to 2 years. In temporal areas, bolus needle injections are performed deep under the temporal muscle (‘Gun shot’ technique) or fan surface cannula injections between the layers of the temporal fascia5. This recreates the lost volume in the temporal area and a lifting effect in the lateral part of the eyebrow line (0.3–0.5 ml of the product should be injected on each side). For bolus injections, high density cohesive cross-linked HA is recommended; for fan injections, products with medium or low viscoelastic properties that can be homogeneously distributed in the tissues should be used. Wrinkles on the forehead and glabella are filled using a linear retrograde or deep papule technique. To correct the tear trough area, it is necessary to use HA products with low concentration and viscoelastic properties, are non-hydrophilic, and can be homogeneously distributed in the tissues. It is preferable to restore volume in the midface area with the Tri-Site Bolus technique using high density cohesive cross-linked HA. Botulinum toxin is the generally recommended correction procedure for patients with the tired aging classification, because these patients are predominantly hyperkinetic6. There are classic injection schemes for forehead, glabella and peri-orbital areas. The basic treatment and care involves mainly moisturizing, nutritional, and whitening programs. Phonophoresis can be used to aid the delivery of moisturizing and stimulating serums. Combined peelings (glycolic up to 50%, lactic, kojic, phytic, resorcinol), hydrodermabrasion, and fractional photothermolysis are pathogenetically proven to deliver positive results. Mesotherapy with skin boosters and active regenerating and stimulating agents (especially growth factors) also represent an effective corrective method for this morphotype. Botulinum toxin correction for patients with the wrinkling morphotype is the recommended procedure because these patients are kinetic or hyperkinetic. There are classic injection schemes for the forehead, glabella and periorbital area and off-label injections in the perioral area. Due to the fact that patients with this morphotype experience a general reduction in all fat compartments and a wrinkled expression, it is preferable to use low cross-linked HA with dynamic properties to increase volume in these areas. One of the most difficult problem areas for the wrinkling morphotype is the neck. The author’s recommended treatment is TCA 20%, fractional photothermolysis, skin boosters, and smooth mesothreads 29–27G, 40–60 mm. 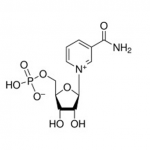 third of the face, including silicium 0.5% + chophytol + procaine, L-Carnitine, and phosphatidylcholine + deoxycholic acid ready-for-use cocktails7. The skin must be folded, i.e the practitioner should create a crease, to make sure that the solution is administered right into the hypodermis. Surgical and therapeutical threads should be used to lift and support the facial frame. In temporal areas, bolus needle injections are performed deep under the temporal muscle (‘Gun Shot’ technique). It recreates the lost volume in the lateral part of the eyebrow line (0.5–0.7 ml on each side). For bolus injections, the preferable choice would be a high density cohesive cross-linked HA. Wrinkles on the forehead and glabella are filled with a linear retrograde or deep papule injection technique. Correction of the tear trough is not always effective due to the increasing likelihood of edema and hernias. It is preferable to restore volume in the middle or/and lateral cheekbones area with a Tri-Site Bolus technique or cannula using high density cohesive cross-linked HA. Jawline correction can be achieved using the bolus technique in the mandibular angle or retrograde line technique parallel to the bone. 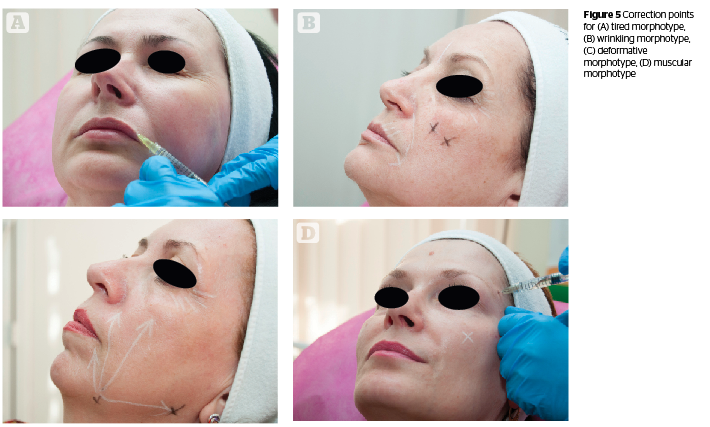 Botulinum toxin correction for patients with a deformative aging classification should be done carefully owing to the high risk of ptosis and lymphostasis. These patients are mostly hyperkinetic and hypertonic. There are classic injection schemes for glabella and sometimes for forehead. It has to be said that such patients more often ask for a surgical correction as compared to patients with other morphotypes, as their tissues are heavy and sometimes not adequately corrected using the above methods. Aesthetic treatments and recommended procedures aim to prevent elastosis, skin dehydration, and hyperpigmentation. The compositions of the available products may contain the following components: collagen, oligoelements, amino acids, antioxidants, vitamins C and A, and hyaluronic acid. It is appropriate to prescribe treatments such as superficial chemical peels (glycolic, lactic, almond), as well as more active and deep peels (salicylic, retinoid, TCA) for the prevention of facial wrinkle aggravation and hyperpigmentation. The combination of peeling with HA skin boosters containing patented formulations (amino acids, antioxidants, vitamin, and minerals) or mesotherapy (oligoelements, vitamin complex, organic silicium, plant extracts) enhances the corrective results achieved and prevents age-related changes. The procedure of superficial peeling is carried out in 4–6 sessions with an interval of 7–10 days. Botulinum toxin correction for patients with a muscular aging classification is the procedure of choice due to the fact that these patients often have pronounced wrinkles in the upper third of the face and botulinum toxin is the classic injection scheme used to eliminate these problems. Often, it is also necessary to make the correction using off-label techniques, because of common m.masseter and m.depressor anguli oris hypertonus. To ensure the best results in the first phase of correction it is recommended to reconstruct the volume in the temporal, pre-auricular, and molar areas, which will provide a pronounced lifting effect. The product of choice should be a HA with high to medium viscoelastic properties. Also, correction of the midface should include the periorbital zone. These zones can be dangerous to inject into due to the abundant vascularization, lymphatic system, and infraorbital nerve, and caution should be exercised. It is highly recommended to perform injections in this area with a cannula, as they are less likely to pierce and inject filler into a blood vessel compared to a needle. Injection with needle in this area demands a good knowledge of facial anatomy. Patients with muscular type aging often have wrinkles on the cheeks and nasolabial folds. For correction it is recommended to perform retrograde subdermal injections of hyaluronic acid. The aim of the study was to identify patients correctly according to morphotype classification and provide each patient with the appropriate correction. 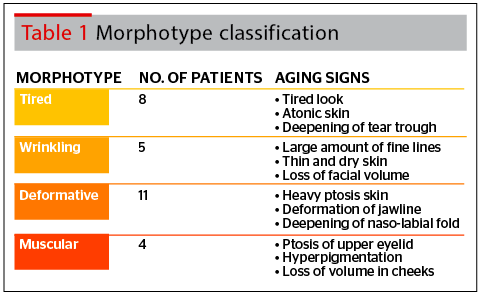 Due to the classification of morphotypes we have divided patients according to the signs of aging they are experiencing (Table 1). All patients were healthy females from 42 to 57 years old. Caucasian population from a relatively small area. Step 3: Abobotulinum toxin-A injections were used for 5 patients with on-label techniques. Injections were distributed as follows: glabella, 40 units; forehead, 50 units; and peri-orbital, 30 units. This was followed by another 2 week break. Step 4: HA correction of the upper-third of the face including eyebrow and temporal areas. A HA dermal filler with optimum viscosity and cohesity, performed with deep bolus and superficial retrograde injections (using 25G cannula) should be used. The tear trough was corrected using a HA with low concentration and viscoelastic properties, non-hydrophilic, and homogeneously distributed in the tissues. For the lower third areas, such as jowls, marionette lines, and mandibular angle, the author used a multi-layer retrograde and multi-bolus techniques. Step 3: Abobotulinum toxin-A injections were performed using both on-label and off-label techniques. Injections were distributed as follows: glabella 40 units, forehead 50 units, eyes 30 units, perioral area 20 units, and neck 60 units. A 3 week break followed. Step 5: Peri-orbital and peri-oral areas, as well as nasolabial folds were corrected with a HA filler with dynamic properties and low concentration of BDDE. The HA was uniformly distributed in the tissues to preserve the dynamism and natural movements of the face. Step 5: HA correction of the upper third of the face included injections in the eyebrow and glabella areas using a HA dermal filler with high cohesity, using the multi bolus technique. Volume restoration to the middle and lateral cheekbones area was achieved using the Tri-Site Bolus technique or cannula using a HA filler with dynamic properties. For the lower-third of the face, such as jowls, marionette lines, and mandibular angle a multilayer retrograde technique was used. Step 2: Four treatments of non-stabilized hyaluronic acid 15mg/ml and mesotherapy (vitamin C, tyrosinaze inhibitors) were performed at 2 weeks intervals, with a further 2 week break at the end. Step 5: HA correction included upper-third and midface areas. HA dermal filler with high cohesity was used with a deep bolus technique. 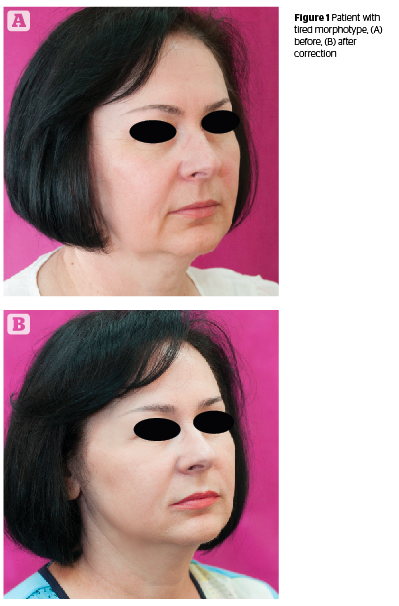 As a result of the performed therapy, all patients treated due to the principles of their aging classification revealed that wrinkle intensity was reduced, soft tissue quality improved, the jawline became smoother, the depth of their tear trough and nasolabial folds decreased, and ptosis of the face became less prominent. 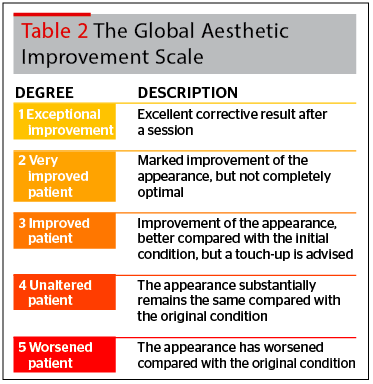 All patients were asked their opinions and the results were analyzed according to the Global Aesthetic Improvement Scale (GAIS) (Table 2) that ranges between a 1, which indicates an exceptional improvement, down to a 5, which indicates a worsening of the appearance. Muscular morphotype 1=45%, 2=45%, 3=10%, 4=0%, 5=0%. and diminish manifestations of aging. An analysis of aging morphotypes demonstrated that aesthetic correction could be performed to retain a fresh, natural and healthy looking appearance. Further research could be designed to include a more diverse subject population. Using the holistic approach to each morphotype, the results show that the protocols suggested in this article provide an effective treatment with very good overall improvements and high satisfaction rates. Treatment protocols that are based on aging morphotypes allow practitioners to achieve natural looking aesthetic correction that underline individual features and prevent the appearance of the signs of aging. A holistic approach can provide effective, long-lasting rejuvenative clinical results.